Have you ever thought of volunteering for a festival or just getting involved with something you are passionate about, like books? We have said it year after year, our festivals and events simply wouldn’t happen without our volunteers. There is so much involved in organising a literary festival that we could accommodate your skills whatever they may be. 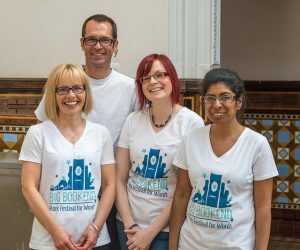 Your role as a Leeds Big Bookend volunteer could be: photography, logistics, art and design, creativity, organisation, promotion, marketing & PR, social media campaigning, or simply a helping hand at our events which run throughout the year. We are actively recruiting volunteers for the Northern Short Story Festival 2019. See below for more information. 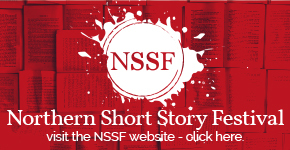 Are you interested in volunteering for the Northern Short Story Festival from 31st May – 2 June 2019? Would you like to be a part of the North’s only dedicated short story festival, a diverse and grass-roots festival which brings the very best in short story writing to Yorkshire? Being a volunteer with us will give you chance to gain experience working in the arts, and experience a literary festival from the inside. * Venue volunteers: a venue volunteer meets & greets festival attendees, directs ticket holders around the venue, facilitates venue support by making sure rooms are tidy / set up for different festival events. We need venue volunteers for our festival weekend of Saturday 1 & Sunday 2 June, and during the pop-up fringe events. * Social media volunteers: we need experienced social media volunteers to support and gather material for our social media channels during the festival itself, and during the fringe events. * The chance to meet great short story writers, and some of the country’s best independent publishers and editors. * Free entry to selected literary events and workshops. * The chance to meet our other brilliant volunteers and the people who run the festival. * Gain experience in working in festivals and the arts. * You will be playing an important part in helping bring this important and unique festival to life. All roles will be available for the festival weekend itself, Saturday 1 & Sunday 2 June, and for the pop-up fringe events happening in the week before and week after the festival. You must be over 18 to volunteer with us. Please go to this form https://sjbradley.typeform.com/to/DGrVC0 to apply!